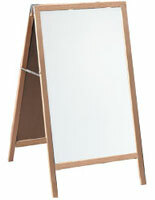 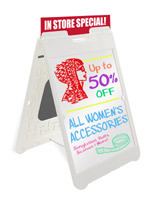 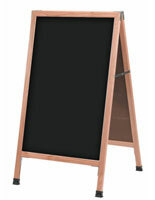 These a frame chalkboards offer stylish looks with durable construction. 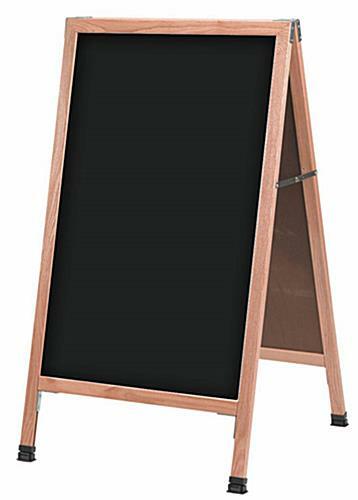 The black writing surface is paired with solid oak wood framing for a handsome presentation. 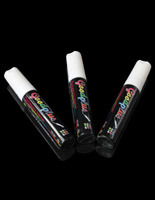 The a frame chalkboards come with real stick chalk & eraser for creating your handwritten messages. 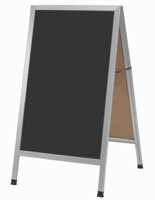 The sign is hinged at the top for easy setups and quick storing. 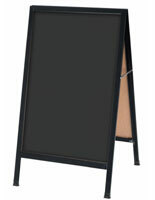 Place these a frame chalkboards outside your establishment to let potential customers know what they're missing!